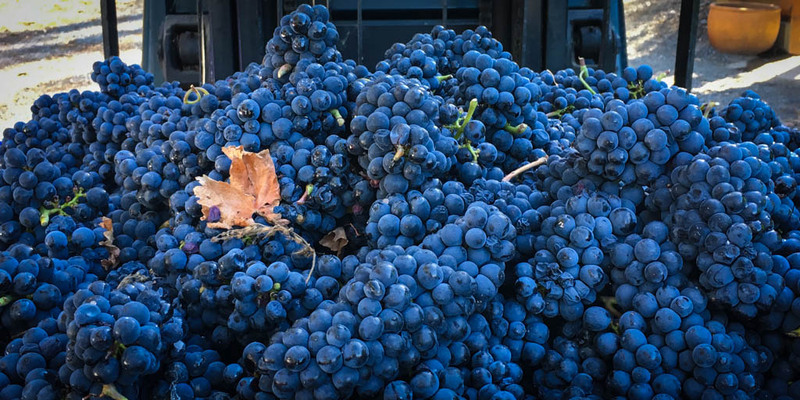 Vintage 2018 can be summed up in one word – “challenging” … but for the most part, the wine gods have smiled on us. The biggest driver has been weather – a cool start to spring meant that the vines were slow to get going after bud burst, but the canopy sprang to life as the warmer weather kicked in. The big issue was the stretches of humid weather through December in particular which meant that the vineyard was susceptible to disease and required some extra attention. The two big rain events in mid December and January were good for the vines as our “chocolate cake” soil soaked up the water to sustain the vineyard through the very dry period in late summer. While the late summer heat resulted in a small amount of sunburn in the fruit, it also meant we had an excellent ripening period leading up to harvest and we noticed that the flavours in the fruit kicked in nice and early. We kicked off harvest on 23rd February with our estate Chardonnay which was a big crop of nice clean fruit. This was picked a little earlier that usual but the fruit flavours were fabulous and we look forward to seeing the style of wine that results from this vintage. Next up on 1st March we acquired a small parcel of Sauvignon Blanc from a vineyard out near Healesville. We have been keen to add another white to the range since the 2011 Riesling, so looking forward to getting this wine on the market later in the year. It will be interesting to see how a Yarra style of Sauvignon Blanc presents. There was no time to rest as in the second week of March our estate Pinot Noir was ripe for the picking and as luck would have it our Heathcote Shiraz arrived into the winery the very same week … suffice to say this made for a very frantic few days and a couple of tired winery workers by the end of the week. The wines are all now underway with primary fermentation and we will be be pressing the reds around the end of March. We expect that vintage 2018 will include our usual range of estate Chardonnay and Pinot Noir, complemented by our Heathcote Shiraz. The Sauvignon Blanc is the first new addition, plus we are planning one more surprise new wine that should be ready later in 2018. Stay tuned for more information on that later in the year !